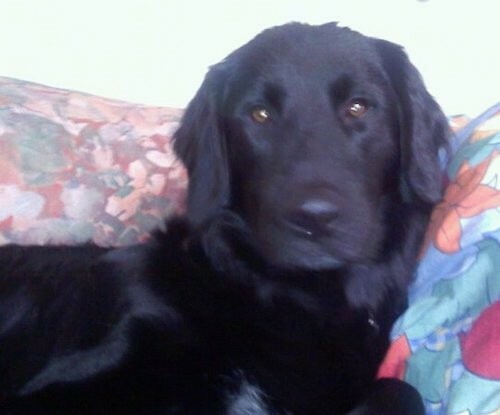 "Cream is a 2 year old Flat-Coated Retriever / Newfoundland mix. He is very easy to train and loves to be around people and if left alone, even for a few minutes, he will become upset. He also loves water. He is very energetic and needs to be walked every day for at least 1 hour."